Hotel Travel and Review. 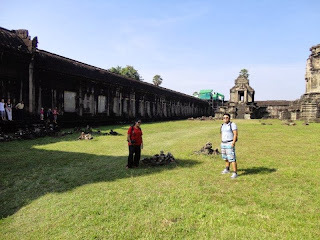 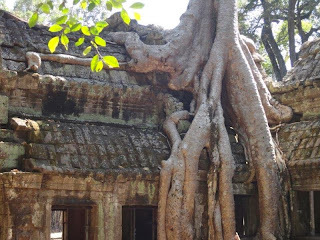 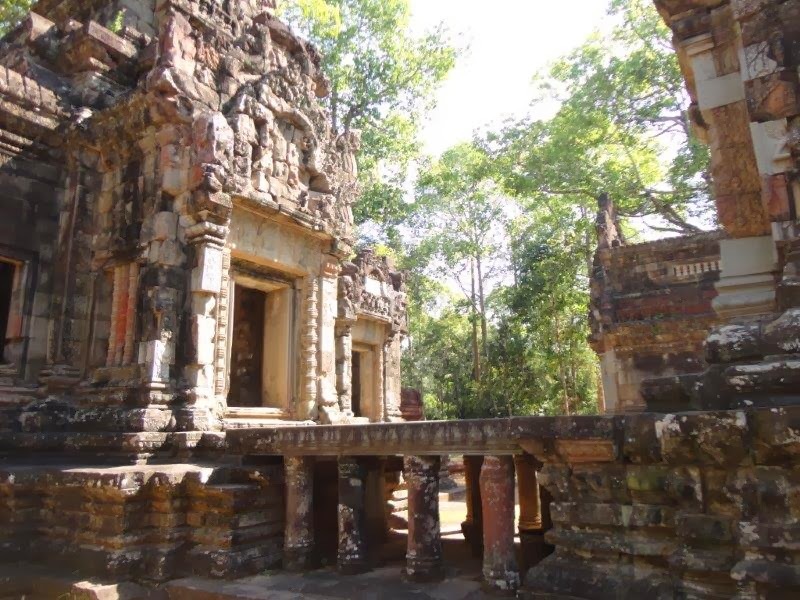 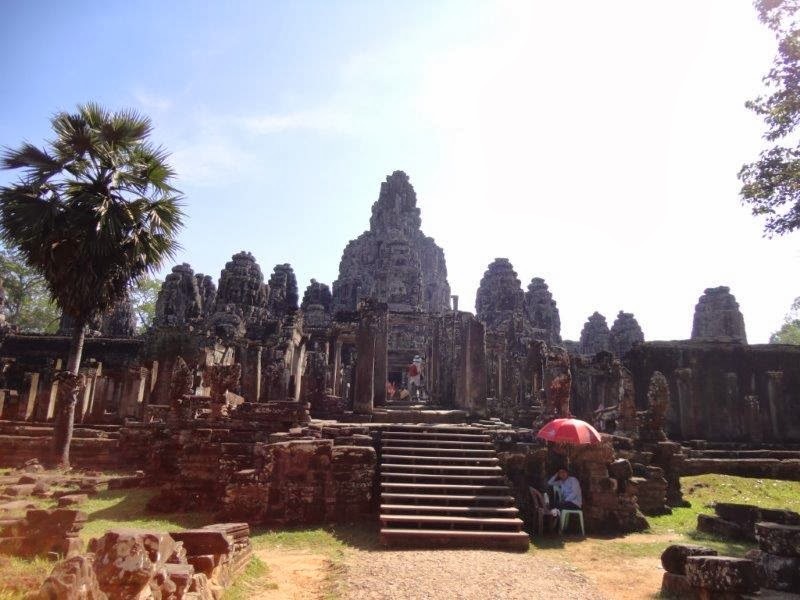 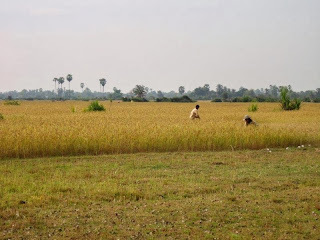 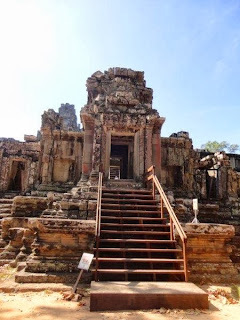 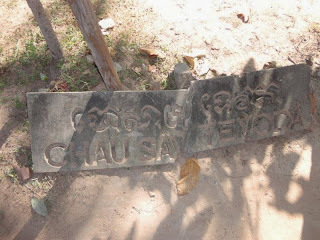 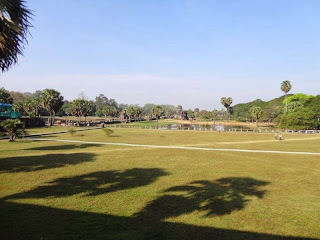 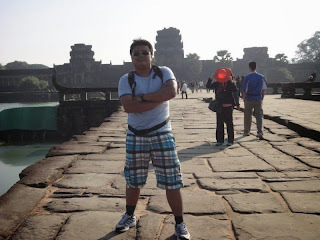 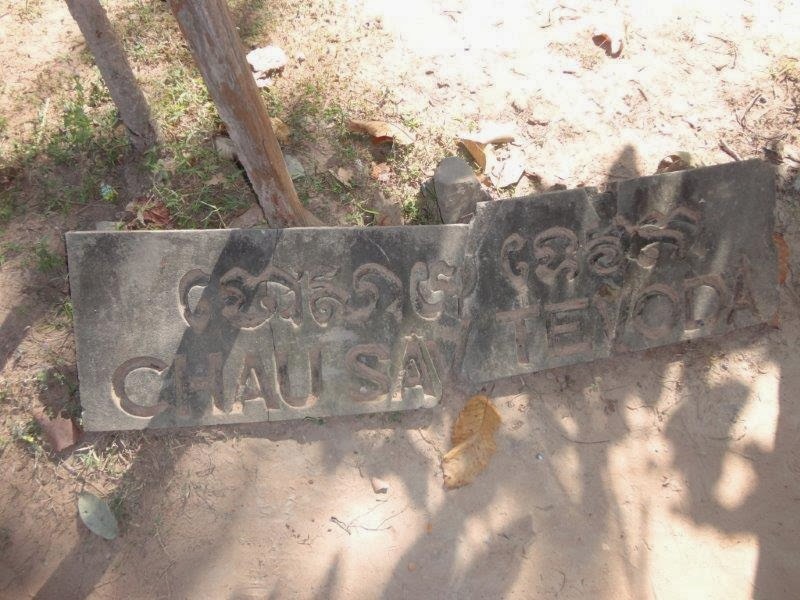 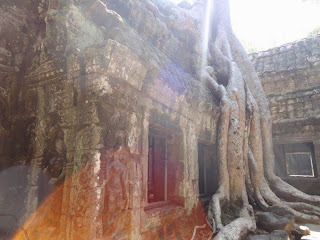 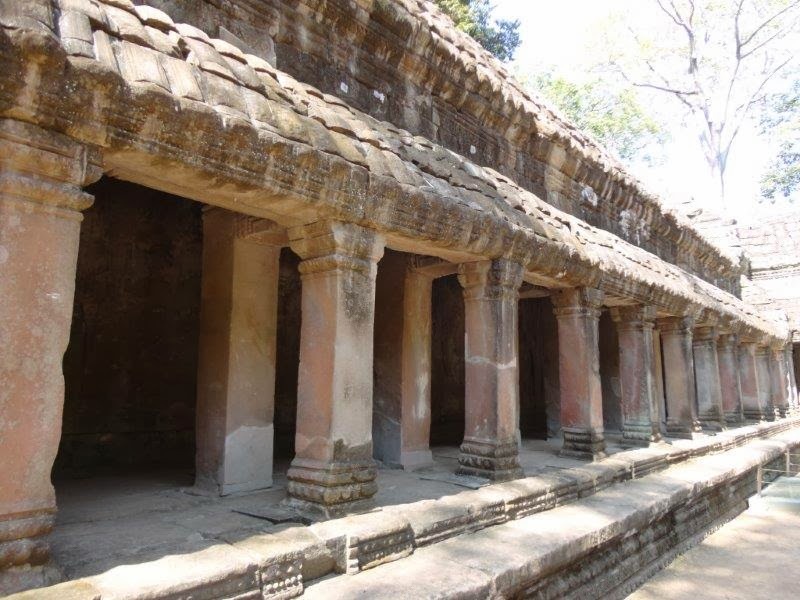 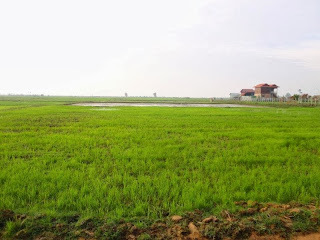 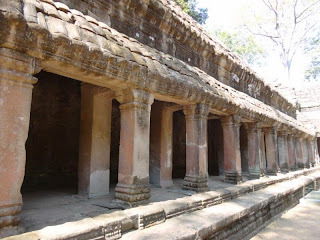 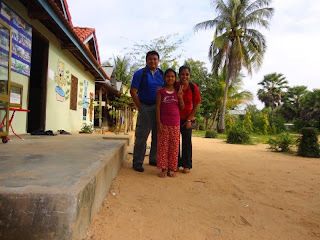 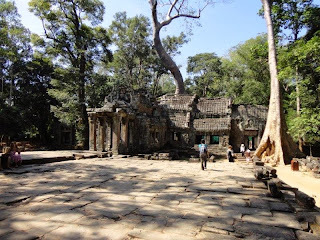 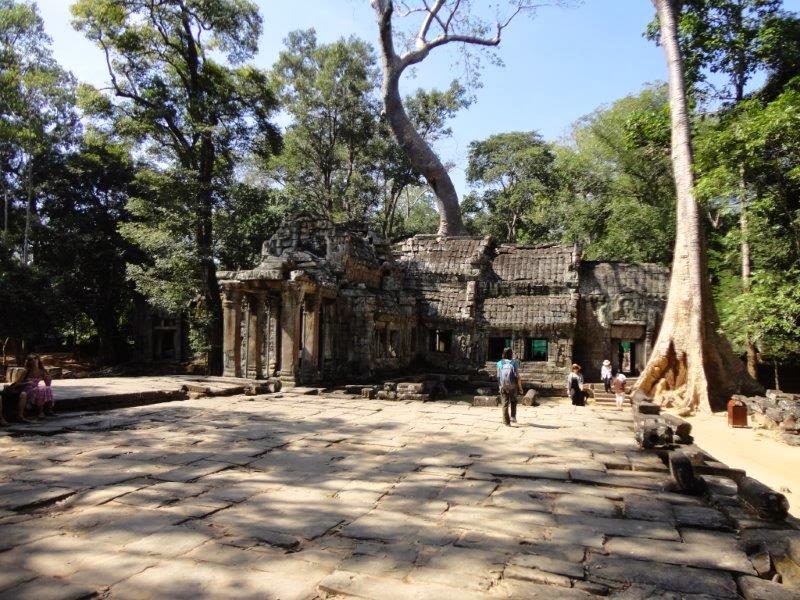 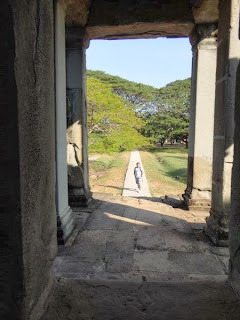 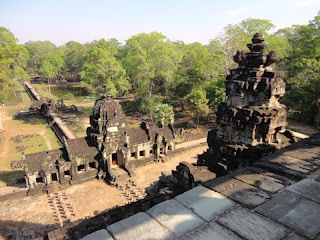 : Siem Reap : Finding inner peace in Angkor Wat , Ta Prohm and Angkor Thom. Siem Reap : Finding inner peace in Angkor Wat , Ta Prohm and Angkor Thom. 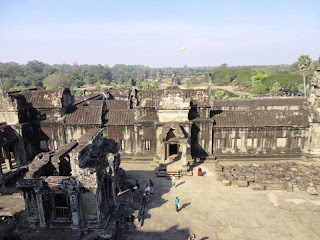 Finding a spot to just laid back and soaked in the peaceful tranquility that is Angkor Wat was surprisingly easy despite the throngs of visitors. 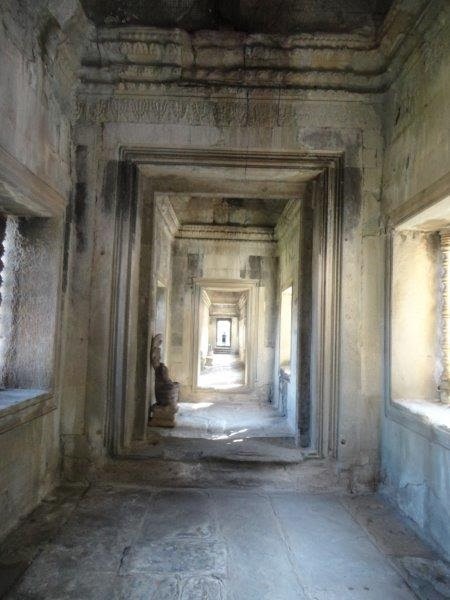 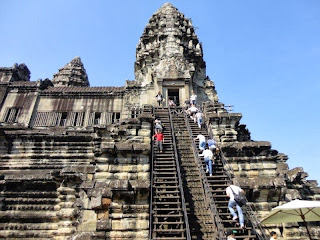 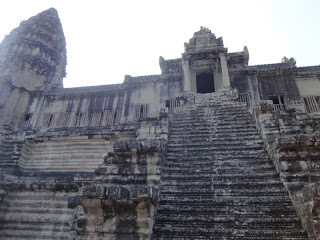 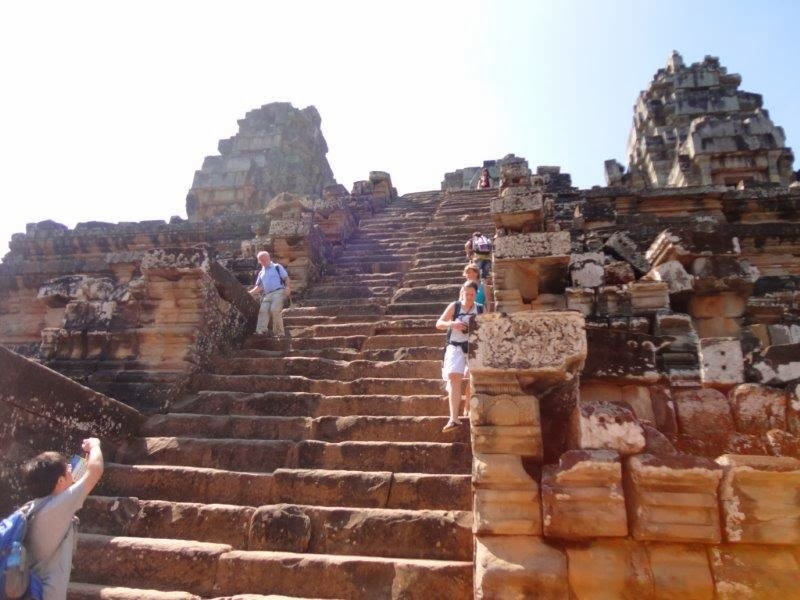 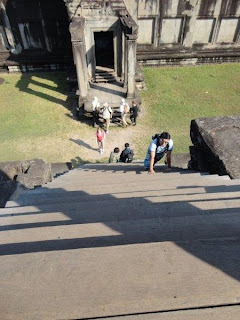 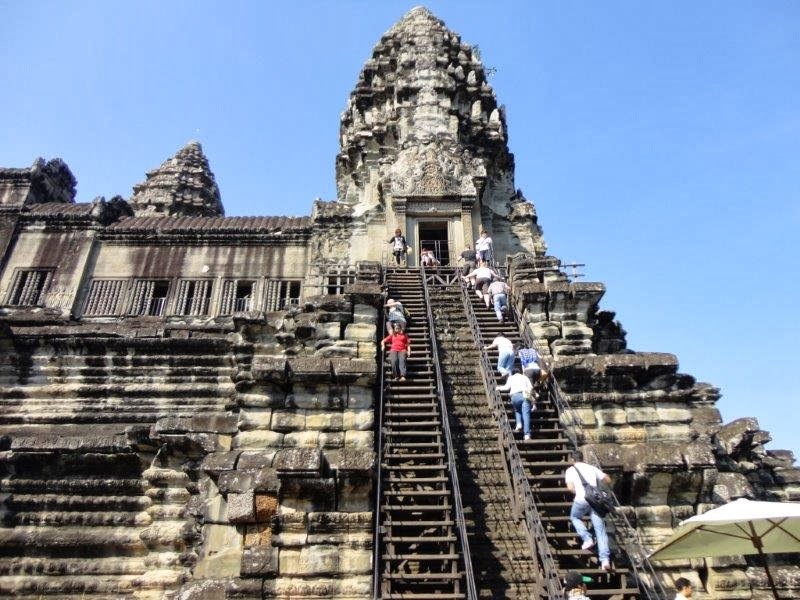 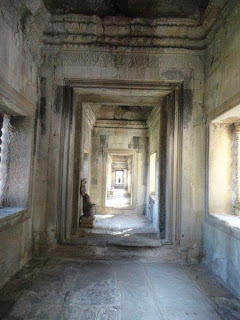 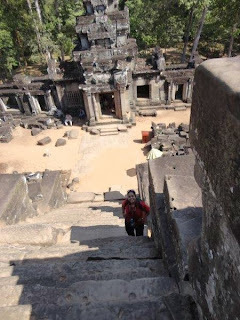 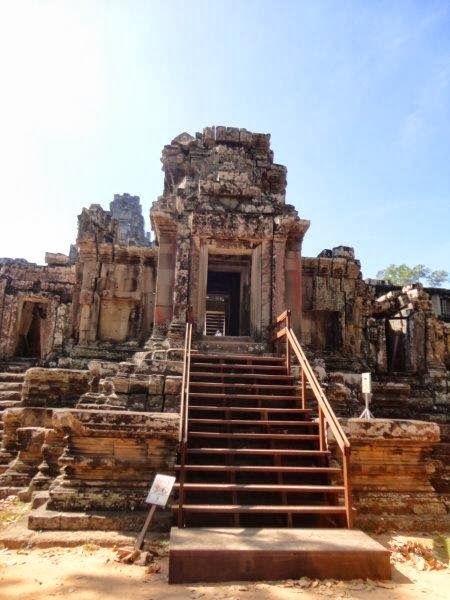 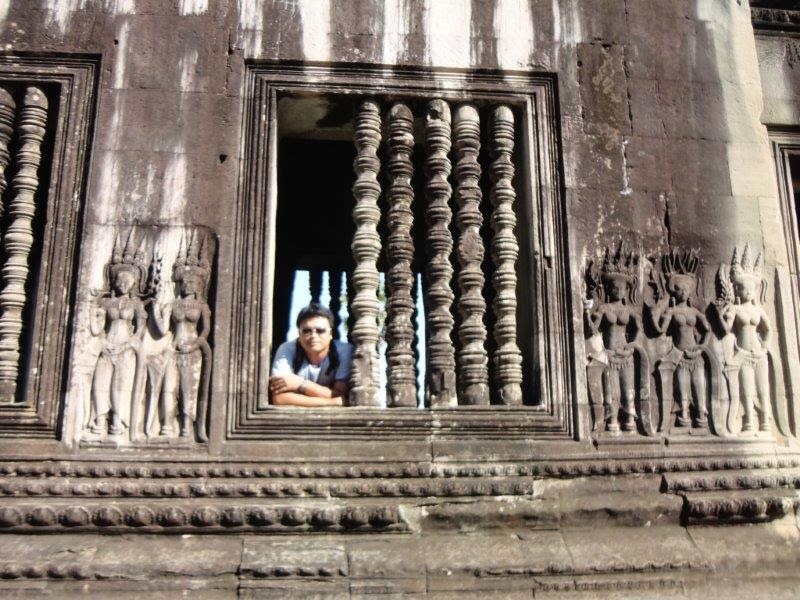 Some temples within Angkor Wat may need a steep climb or two ......but once you reached the top, the view is worth it. 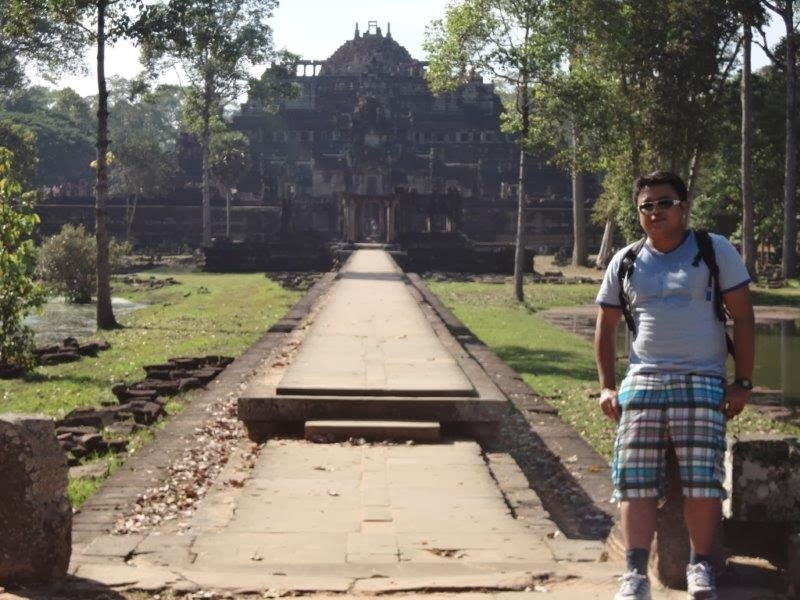 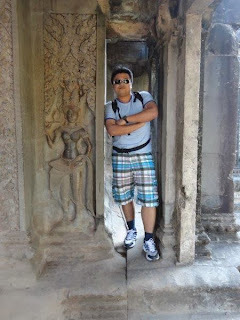 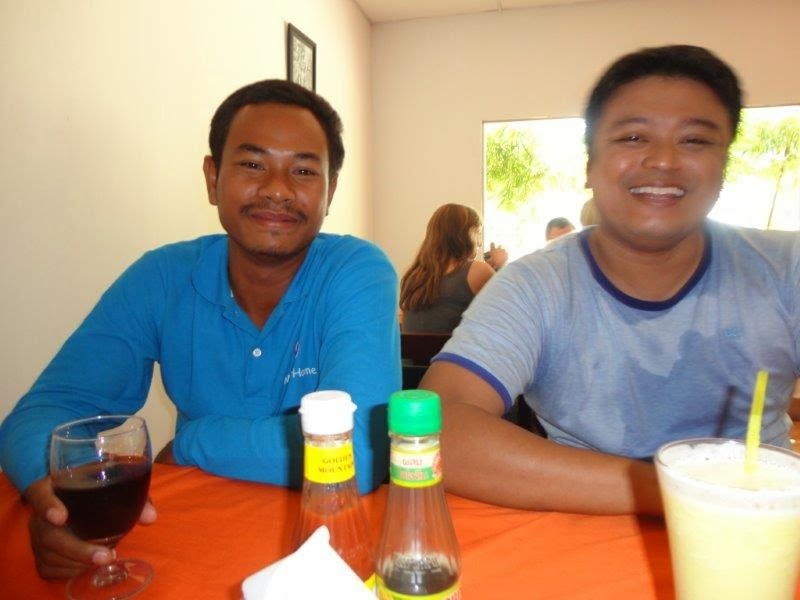 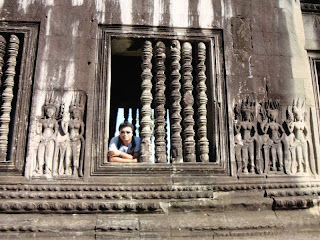 My travelling buddy, Ravi, while I was in Angkor Wat. 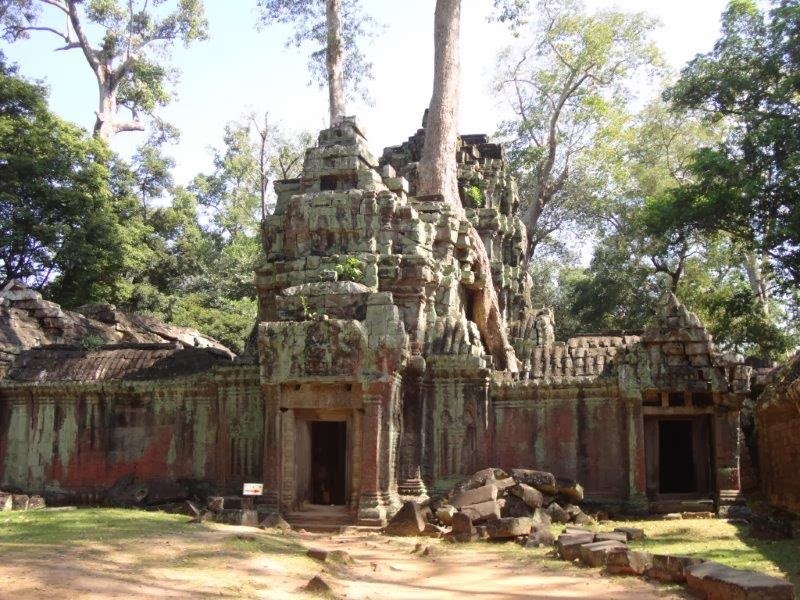 Once you have your filled with Angkor Wat, its time to head to Ta Prohm. Having trees engulfing the temples create a sense of being transported back to the past. 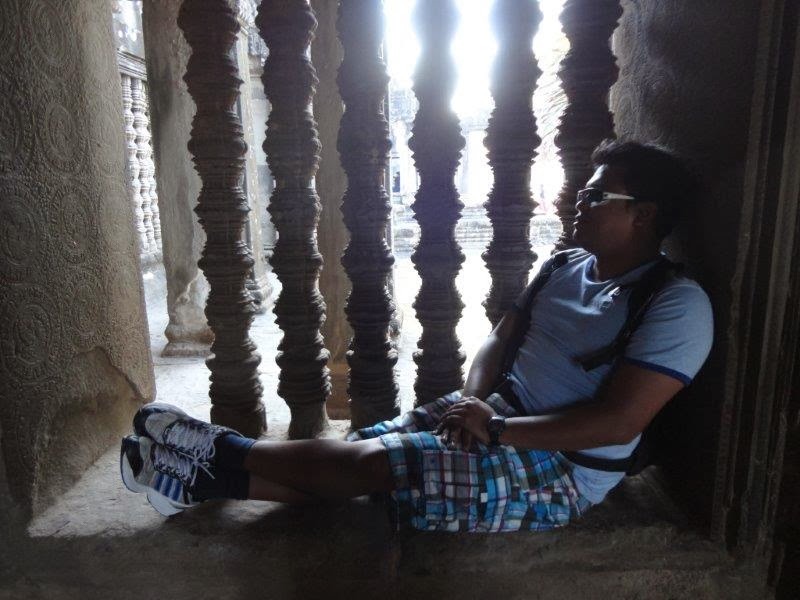 This is truly majestically eerie but at the same time, tranquil. 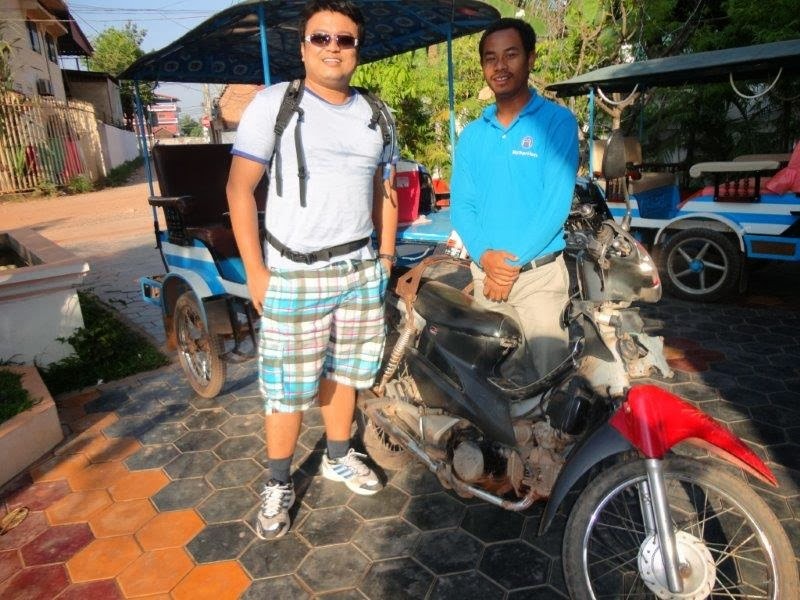 Having a quick lunch with my very helpful Tuk Tuk driver. 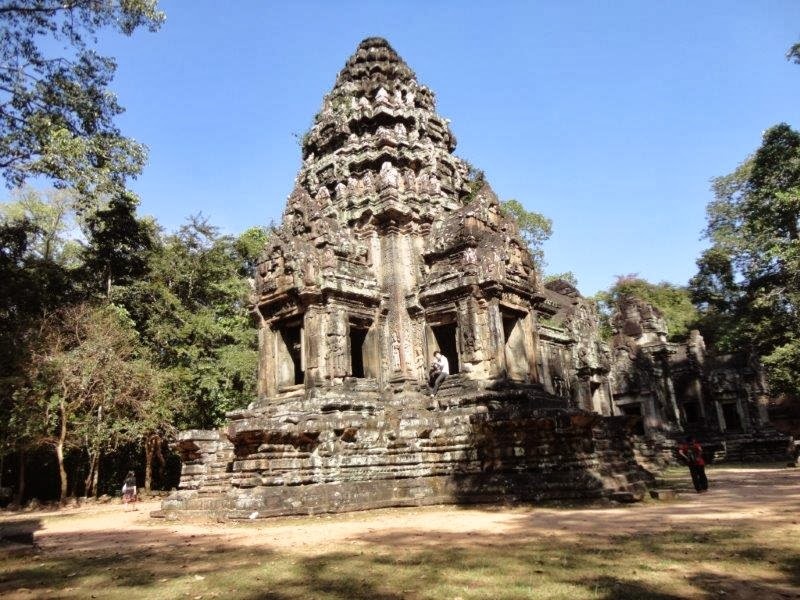 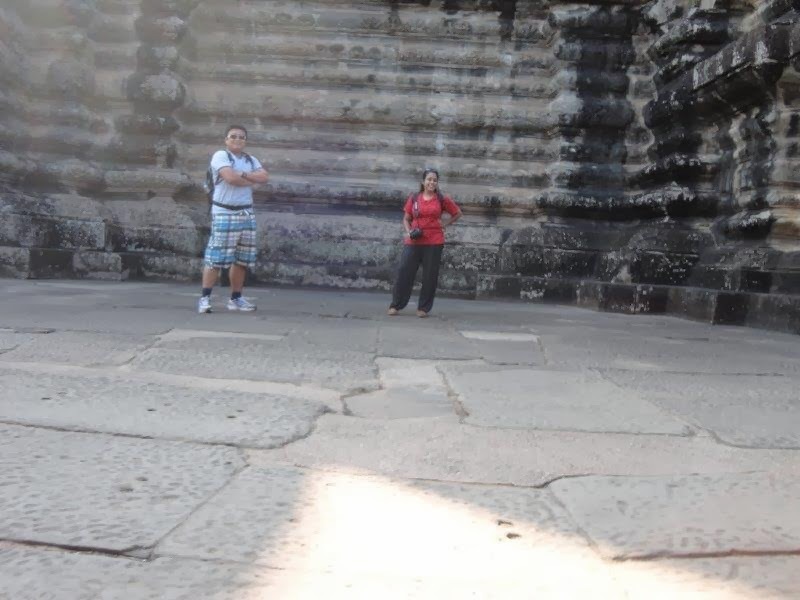 A smaller site than Angkor Wat, is the beautiful Angkor Thom. 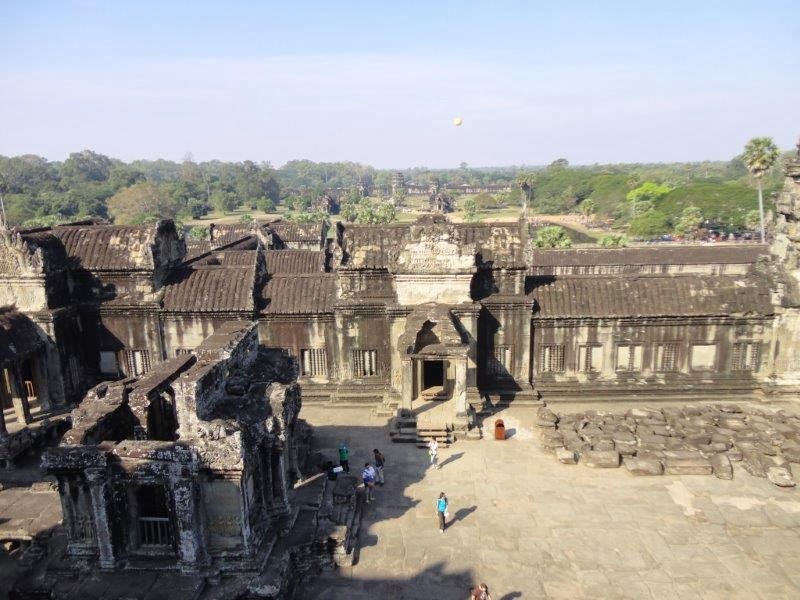 Its different, its smaller yet at the same time, it provides you with another sense of being awed standing in a place where at one time was a majestic city. 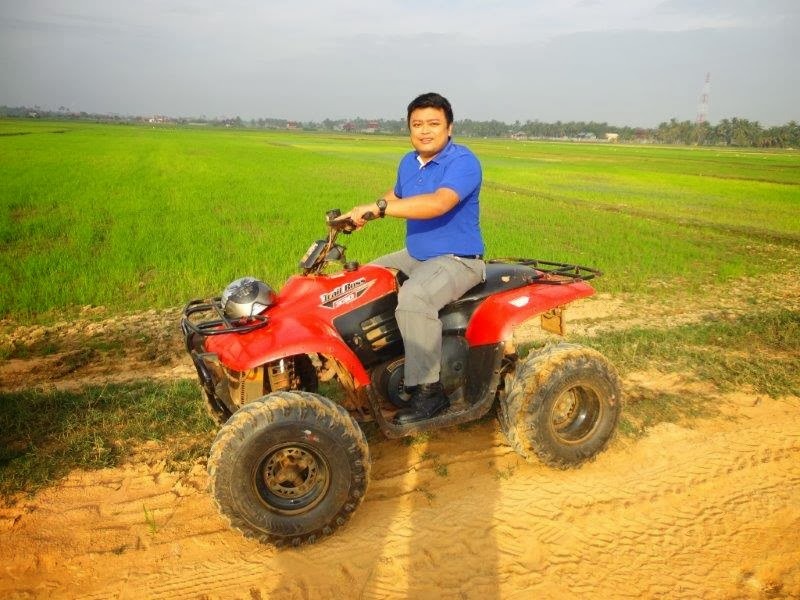 I highly suggest anyone who goes to Siem Reap to try their Quad Adventure. 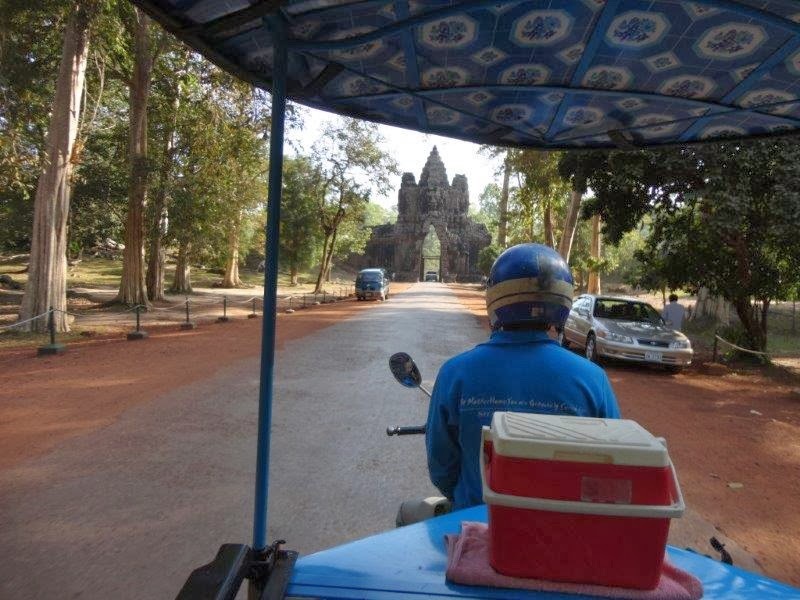 Click here to visit the tripadvisor site on this MUST DO activity. 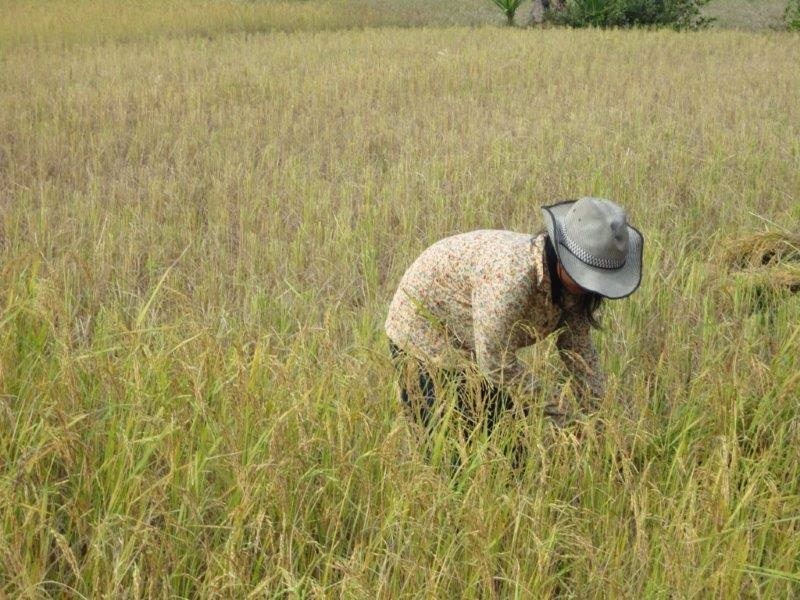 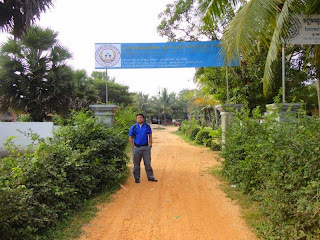 Its an eye opener for urban dweller such as myself to see another aspect of education in a rural setting. 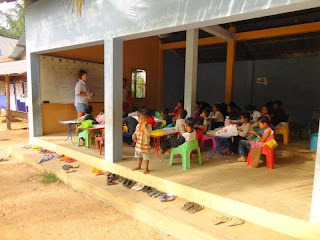 I feel sad looking at the kids but at the same time, they seemed happy given the opportunity to just study. 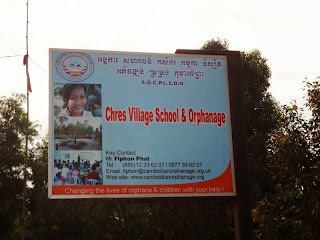 Its an ironic feeling. 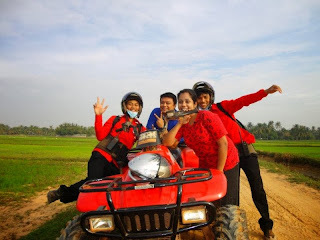 If you do take this quad tour, do bring lots of sweets to give to the kids that you will pass by along the roads. Siem Reap is a beautiful place. 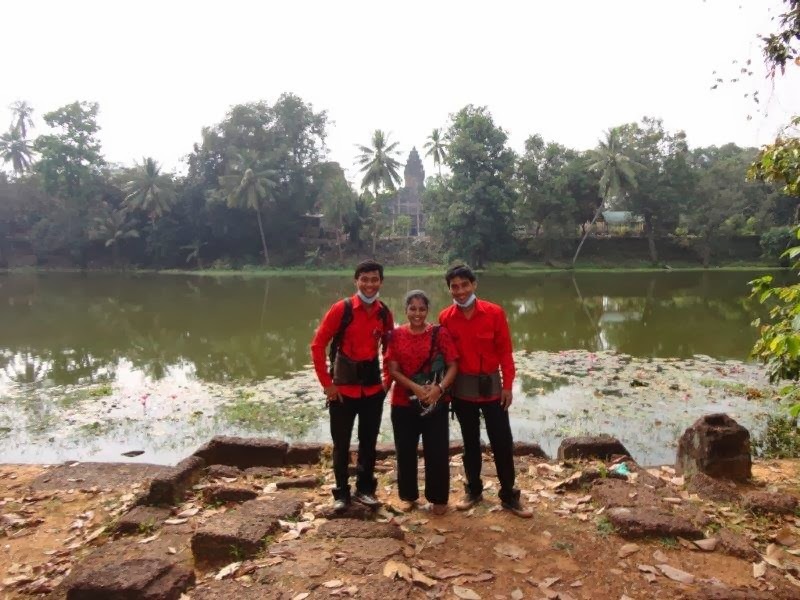 The temples are a place of tranquility and its people, ever so friendly. 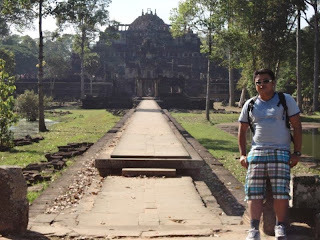 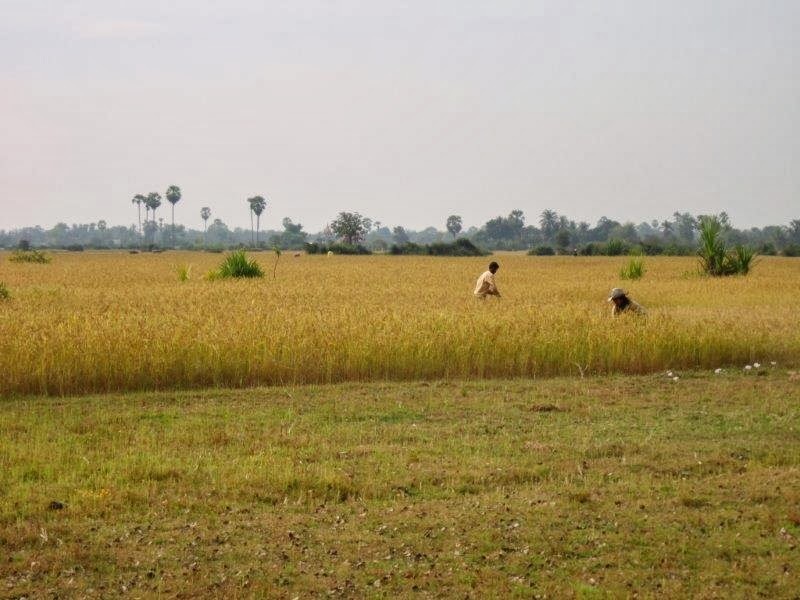 Its time to put Siem Reap in one of your top destination of great places to visit. 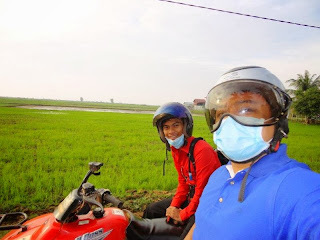 Popular Posts of all time! 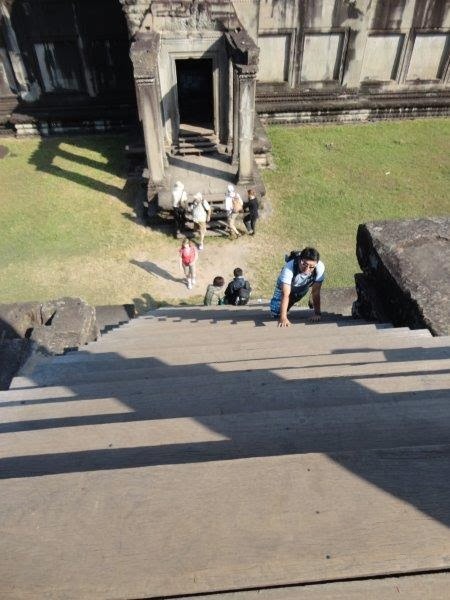 Assassins Creed 2 locations in Italy. Travel and Review : New Zealand–More forgotten pictures. Hotel Review - Capella Singapore. Why does it deserve to be the number 1 hotel in Sentosa? 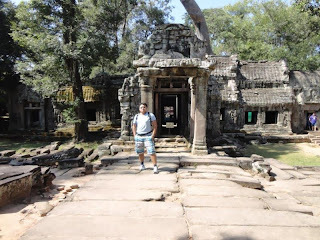 Visitors ..... welcome to my humble travel blog! 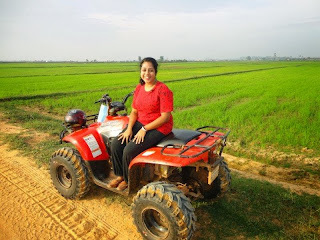 Popular posts of the month!